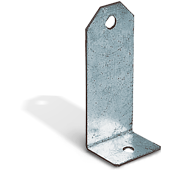 In-line mounting feet are designed to support the assemblies in a horizontal plane. If feet are required to support the fans in a vertical plane, contact Fantech. Four pieces make up a set.